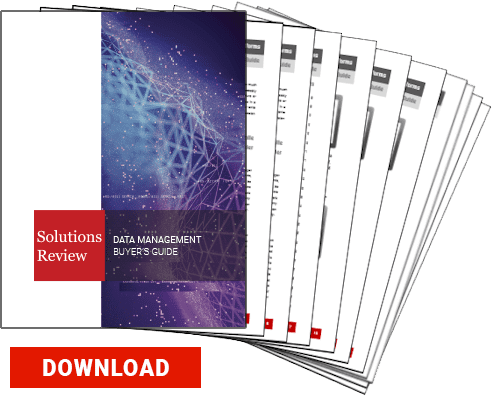 The following is an excerpt from Solutions Review’s Buyer’s Guide for Data Management Solutions for Analytics. Data Management solutions meet at the intersection of big data and business analytics. An increasing number of enterprise companies now require dedicated data management tools for running complex analysis on disparate data. These demands are being filled with hybrid and cloud platforms that allow for flexible deployment, ingestion, integration, and security. As a result, providers have adopted technologies and techniques from vendors on horizontal markets, such as security and backup and recovery. 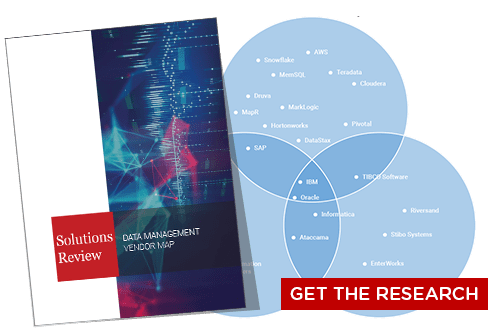 To help you evaluate prospective data management products, these are the five questions we recommend asking yourself before making a choice. 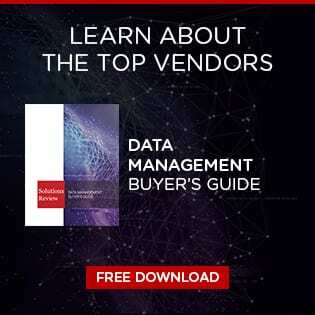 If you find these questions helpful, check out our Buyer’s Guide for Data Management Solutions for Analytics, which features five more questions for the providers, a comprehensive overview of the market, and full, one-page profiles of the top-28 solutions, including our ‘Bottom Line’ analysis. 1. What level of data security do I need? Some vendors offer expansive data protection capabilities. Of course, these add-ons come with a price, and it would be helpful to know upfront whether or not securing your stored data is a priority to the degree that paying for it represents. We think it is, but some organizations like to maintain those protocols in-house. Many solution providers even go a step further, offering services that ensure certain data types remain compliant with ever growing regulations, which leads us to our next question. 2. What kind of data do I need to analyze? Is the majority of your company’s data transactional? Is it all structured? If so, a traditional or “legacy” tool may be the best fit for your use case. If the bulk of your data streams to your data lake in real-time via CRM, cloud applications, and customer feedback, then a solution that can integrate with the likes of Hadoop, Spark, and NoSQL repositories is likely appropriate. Be sure to take into account the types of data that run through your business and then match that up with the appropriate provider. 3. Cloud, on-prem, or both? A hybrid approach is a growing trend in the enterprise market as it provides organizations the ability to execute integration in both on-prem and cloud environments. Thus, organizations are able to interchange data to and from either framework as a way to gain business agility, manage cloud delivery, and address the need for data sharing between environments. On-prem data management is certainly not dead, but a hybrid approach will set your organization up nicely for the future, even if cloud exposure is currently limited. 4. Which use cases do I need to focus on? What will the impact look like? In other words, what does the deployment of a data management tool help you do differently? Focusing on specific use cases helps to ensure that the implementation of this technology helps move the needle along the desired path. The impact should be measurable, but it will also require collaboration amongst users. The expansion of data volumes and velocities should always result in an end goal of expanded business value. 5. Will data management help me maintain compliance? Organizations that place a hefty emphasis on data are increasingly realizing they are not in compliance with industry regulations. In many cases, companies are flocking to data management for this reason – to automate the process of regulatory compliance and ensure that they are following the law. Compliance is vital in any vertical where personal records are shared. Healthcare and government are just two of the major players. If your organization resides in a highly regulated industry, it becomes important to choose a tool that will help you remain up-to-date.